Heavy Duty Black Plastic Spoons - 50 Ct. Heavy Duty Cerise Plastic Spoons - 50 Ct. Heavy Duty Gold Plastic Spoons - 50 Ct. Heavy Duty Pink Plastic Spoons - 50 Ct. Exquisite Classic Silver Plastic Spoons - 20 Ct. Heavy Duty Plastic Soup Spoons - 50 Ct. Extra set of colored plastic spoons always come handy in any event or party indoor or outdoor. 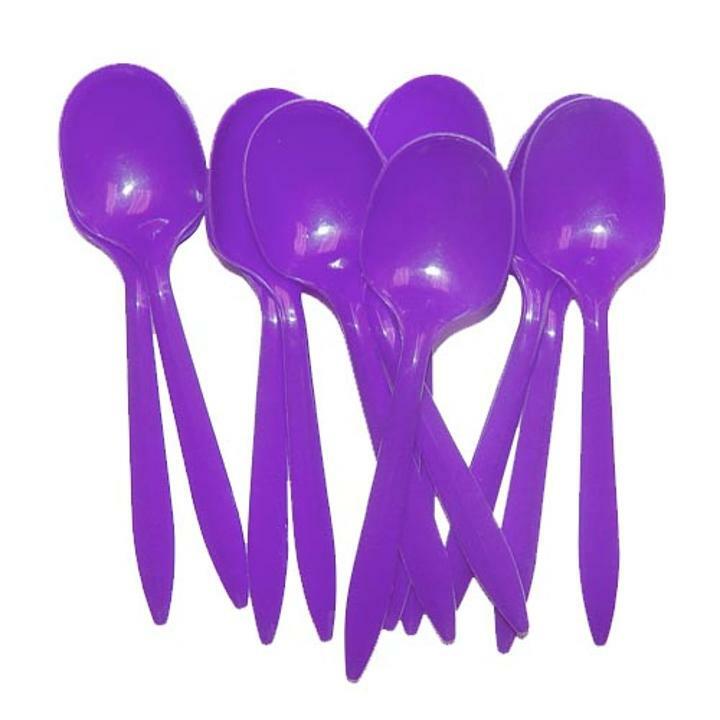 We offer a wide range of solid vibrant colored individual spoon sets available in packs of 51. Made from food-grade plastic, these colorful plastic spoons are fairly heat resistant and do not crack or chip.